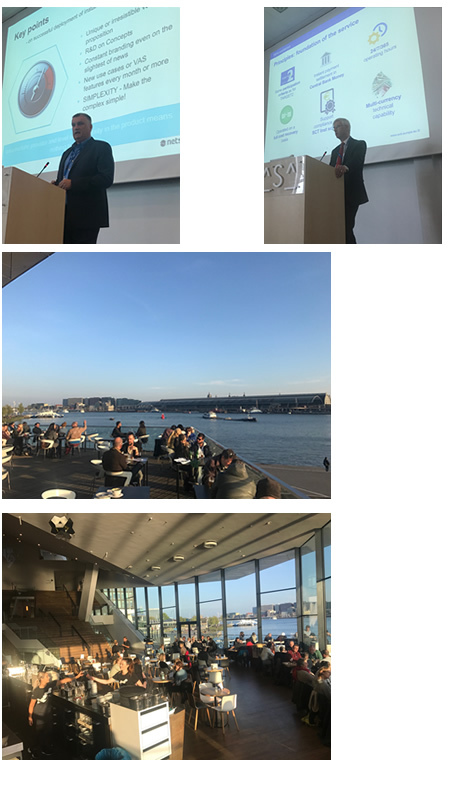 The next annual EACHA Payments Forum, will be held in Copenhagen at the Axelborg Hall. The EACHA members and many of their relations, including banks, PSPs, and regulators active in European Clearing and Settlement will gather for an intense day of information sharing and networking. The conference is on invitation by EACHA members - please contact your EACHA member organization if you are interested in joining the day. DIAS hosted the Autumn Plenary meeting in Athens. At the meeting, the members shared developments on common interest topics such as projects, Instant Payments, PSD2 and related. EPC and ECB attended the meeting and presented on recent developments, related to ERPB, TIPS and Scheme Maintenance. The meeting approved the 2019 Budget and the Board announced start of work on a new EACHA paper with focus on fintech/CSM relationship. The spring Plenary meeting was hosted by Bankart. The delegates enjoyed a dinner in Slovenian style, in a beautiful setting overlooking the town. At the Plenary meeting, the members exchanged views and updated each other on projects, Instant Payments, PSD2 and related topics. EPC and ECB both attended the meeting and presented on recent developments, related to ERPB, TIPS and Scheme Maintenance. The meeting also appointed Iberpay as Vice President of EACHA. 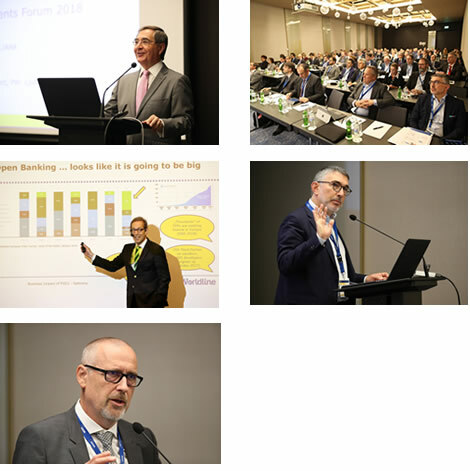 For the annual EACHA Payments Forum, some 115 representatives from EACHA members and their guests from 27 countries gathered at the Intercontinental Hotel in Ljubljana. The program featured as a major theme Instant Payments, with presentations on the innovative approach taken in Slovenia, a view on the value of Instant Payments for Europe by the chairman of the EPC, and the presentation of the results of a new research report on the state of Instant Payments in Europe. The report by an independent advisory firm highlighted the diversity of implementations and solutions and the need for interoperable clearing and settlement across Europe. The next major theme was PSD2 implementation and speakers highlighted the expected large impacts on the industry, the efforts to create standardized APIs and a perspective from e-commerce merchants. GDPR/PSD2 interplay, blockchain for crossborder payments, and Identity management completed the program. SIX Group hosted the Autumn Plenary meeting. The meeting a.o. endorsed the EACHA Instant Payments Interoperability Framework, developed in alignment with the new EPC SCTInst Rulebook. The ECB attended the meeting as observer and also presented on the planned developments for the TIPS service of ECB. The spring Plenary meeting was hosted by equensWorldline, who took the opportunity to inform the membership about the recently concluded merger of equens and Wordline. The group enjoyed a dinner in historical setting in Amsterdam. The EPC and ECB both attended the meeting and presented on recent developments. 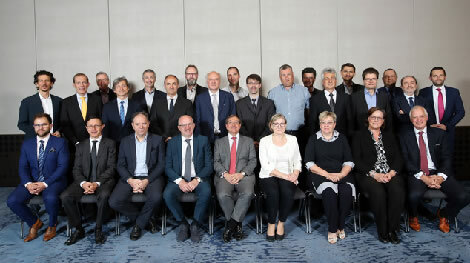 The Board of Directors of EACHA was appointed for a new term of two years, consisting of STET, equensWorldline, Iberpay, KIR and, as new Board member, Nets. STET was re-elected to serve as President of EACHA. The EACHA Payments Forum saw 150 representatives from EACHA members and their guests from 29 countries attended the Forum. Topics included the launch of Instant Payments in Belgium, the experience from Denmark, the TIPS project at the ECB, the RTS expected from the European Banking Authority and Cybercrime. The Dutch Payment Association shared experience in the development of non-cash payments in line with consumer habits. The Autumn Plenary meeting 2016 took place in Lisbon, hosted by SIBS. The ECB and EPC attended the meeting as observers and also presented on recent developments at the EPC, and on the investigation at ECB on TIPS. The Eacha Payments Forum has in recent years become a preferred networking event for the retail payments clearing industry community in Europe. 135 representatives from EACHA members and their guests from 28 countries attended the Forum in Stockholm. Click here for an impression about the event and the programme. 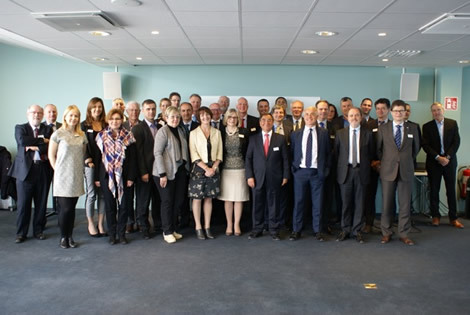 The spring Plenary meeting took place in Stockholm, hosted by Bankgirot. EACHA welcomed the Slovenian ACH, Bankart, as a new member. The Director General of the EPC attended the meeting as observer and also presented on recent developments at the EPC. Already in 2013/2014, the EACHA Innovation Group identified Instant Payments as an important growth area for Europe and started to study the potential impacts on clearing. In 2015 and 2016 publications were issued outlining the issues and potential solutions for interoperability of Instant Payments, in a landscape of multiple providers of Instant Payments services, to ensure Pan-european reach. Since December 2015, EACHA actively participates to various working groups of the EPC, which are developing an “SCT-Inst” Rulebook. It also takes part in ad hoc task forces of the ECB. It aims to deliver an EACHA Instant Payments Interoperability Framework (EIPIF) in November 2016, aligned with the publication of the EPC’s “SCT-Inst” Rulebook. Interoperability is the ability to be consistently accessible to other payment service providers and processors. It goes without saying that interoperability is a key component for SEPA. EACHA aims to complement the SEPA standards developed by the European Payments Council (EPC) by establishing an interoperability framework. By standardising the technical and operating model for the interoperability of CSMs (Clearing and Settlement Mechanisms), EACHA aims to facilitate reach between infrastructures carrying out payment processing, clearing and settlement. Since January 2006, the EACHA task force on interoperability has been working on these issues. This has resulted in the EACHA interoperability framework. Additional information is available under ‘Publications’. By actively participating in banking forums, EACHA has supported the self-regulatory efforts of the banking sector to create SEPA. EACHA stresses the importance of cooperation with all relevant parties, such as the European Central Bank (ECB) and the EPC. EACHA participates in the stakeholder forum of the EPC (the ESTF, together with clearing providers and technology providers).